The energy supply giant to emerge from the SSE-Npower tie-up will be spearheaded by the chief executive behind the high street mega-merger of Dixons and Carphone Warehouse. The big six energy suppliers have poached Katie Bickerstaffe from the electrical retailer amid an exodus of top talent from Dixons Carphone to lead the new ?3bn energy supplier which is expected to begin trading by early next year. Ms Bickerstaffe, the boss of Dixons Carphone’s UK and Ireland business, will take up the post later this year. She is the first to be appointed to the board of the new venture between Npower and SSE’s retail spin-off which will supply around 11.5 million homes across the UK. She is also the first female chief executive of a major household energy supplier in the UK. The new company will be Britain’s largest electricity supplier, second only to British Gas as the country’s largest household gas supplier, at a time of rising political and competitive pressures facing utility companies. 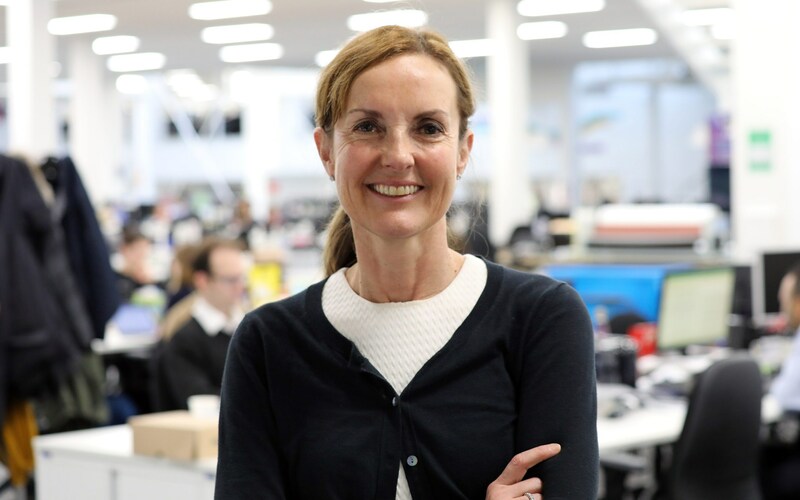 She joined Dixons in 2008 and took a seat on its board in 2012 before becoming chief executive for the UK and Ireland business in 2015. Her previous retail experience has included stints at Kwik Save, Somerfield, Dyson, PepsiCo, Unilever and on the board of SSE. Mr Phillips-Davies said the role as non-executive director of the FTSE 100 energy company has provided an “excellent insight into the challenges and opportunities of the retail energy market in Great Britain”. Ms Bickerstaffe is expected to take the reigns of the new company as the Government moves ahead with legislation to cap standard energy tariffs in a last-ditch bid to tackle fears that customers who fail to switch to a cheaper deal are being overcharged. The move is likely to wipe almost ?1bn in profits from the household energy market and has already dragged the share price of British Gas owner Centrica to a 14-year low on the FTSE 100. What are the 'Big Six' energy companies? Meanwhile, the big six energy suppliers continue to lose customers as new entrants eat into their market share. “There is a great opportunity to create a more agile, innovative and efficient company that really delivers for customers. Over the coming months, I want to listen to as many customers, employees and other stakeholders as possible to make sure this new company has the values, strategy and focus that customers need now and in the future,” she said. The SSE-Npower merger is yet to receive the green light from the Competition and Markets Authority but the companies hope to move ahead in the final quarter of this year or the first quarter of 2019. Meanwhile, the Government aims to put its price cap in place by the coming winter. Ms Bickerstaffe will step down from her non-executive role on the SSE board by the end of the month.